In August 2012 when we bought our first multimedia projector we had no doubt that motion backgrounds and video loops will add a lot of color to our worship services. Therefore, as usual, we searched the web which returned many free resources but they were of very poor quality. The official website of EasyWorship has a huge collection of high-quality items at very affordable rates but didn’t want to buy them because we don’t make payments online unless it’s really necessary. If you frequently Google for Christian teaching and preaching resources you might know by now that resources high in quality and free at the same time are very difficult to come by. This is why we blog about other useful resources whenever we find them. The YouTube channel of ‘GraceLink Stories’ is one such rare resource and I am sure Sunday School teachers will love it. 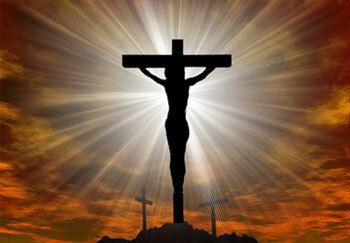 Right now it features 89 bible based animated cartoons. Each video clip starts with a memory verse and is followed by a corresponding lesson. Watch the video Embed below to find out more. It’s been a while since I last updated this blog because of my tight schedule. as I don’t like to post ‘junk’ for the sake of posting but couldn’t come up with any quality sermons or other content either, I was very glad when Paul Thompson, the creative director of Free Bible Images told me about The Word in Pictures and I decided to write a short introductory review. This Video Bible by “I am not ashamed” is a great tool that you can make use of during personal devotions (or whatever purpose you intend to use it for). I love it because these video clips help me to remember scripture much easily and quickly. It also allows visitors to upload their own clips too. Click here to check it out. Microsoft PowerPoint, although designed with the Business presenter in mind, is a great tool for presenting the word of God also and God Company seems to be doing a brilliant job with it. All the slides are professionally designed and come with a useful and practical Bible Study. The studies are doctrinal and theologically correct too, colorful to the eye and understandable because the author uses simple layman’s language in all of his teachings. All the slideshows are free and you can download them onto your computer with just one click. Check the embed slideshow for a sneak peek view or visit God Company’s SlideShare channel to preview all the available slides. Today I want to share with you a few websites from which you can download useful ministry resources such as sermon manuscripts, outlines, audio, and videos. Also check the previously introduced CARM, VideoTeaching.com and Sermon Note Book. 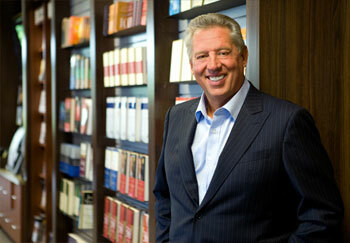 A Minute with Maxwell is the Video-based Leadership Coaching Program by Dr. John Maxwell. Each video is only one minute in length so that you don’t have to give it more than one minute of your time every morning. I subscribed to the program three years ago and the videos have added value and made a great difference in my leadership ever since.